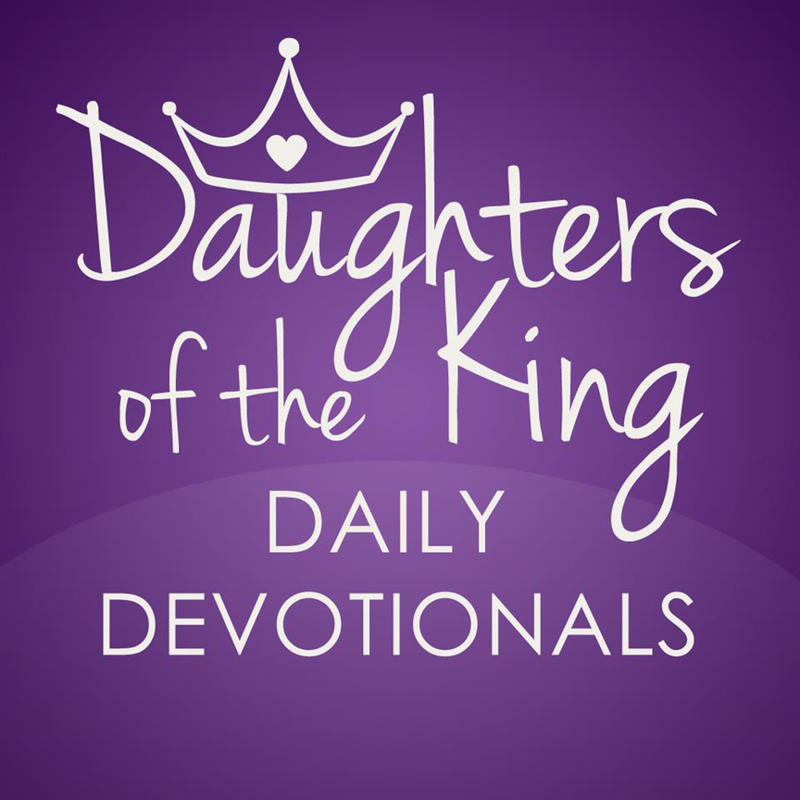 Daughters of the King Daily Devotional – Page 3 – The best daily devotional for women. “He sends out His command to the earth; His word runs very swiftly” Psalms 147:15, NKJV. “The centurion answered and said, “Lord, I am not worthy that You should come under my roof. But only speak a word, and my servant will be healed” Matthew 8:8, NKJV. The Jamaican sprinter, Usain Bolt, is a world record breaking runner. In 2009, he finished at an astounding 9.58 seconds in the 100 meters and 9.63 seconds in the 2012 Olympics. He is the reigning world and Olympic champion. Many have tried to outrun him, but they can’t do it. He’s too fast! The Spirit of God operates faster than anyone and anything. Even faster than the speed of light! The Bible tells us His Word runs swiftly. The centurion understood this very well when he told Jesus, “Speak the Word only, and my servant will be healed.” Jesus marveled at his faith. By the time the centurion made it back to his house, his servant was healed. The Word of God had reached his servant way before he did. God’s Word is still swift, still sharp and still powerful! Send out God’s Word from your mouth with a heart full of faith! 1. When God is sitting on the throne of your heart. Picture your heart has a throne. Who is sitting there? Is it God, you, or something else? Anytime we feel we know better than God, and can do a better job than He can, we are attempting to sit on the throne of our hearts. It’s time to get up and let God sit there (see Proverbs 31:30). 2. When you acknowledge you are seated in heavenly places in Christ Jesus. The enemy works overtime to get you to doubt who you are in Christ and who God is in you. He accuses you 24/7 of every wrong you’ve ever done to get you from your position in Christ. Receive the truth that you belong to God and are seated in heavenly places in Christ Jesus. This places you in a seat of spiritual authority (see Ephesians 2:6). 3. When the enemy is put in his place as being under your feet. You are not trying to defeat the devil, he was defeated over 2,000 years ago when Jesus died, was buried and raised to life again. When the enemy is attacking your life, you must put him back in his place under your feet (see Luke 10:19). When these three are in place, you will have supernatural peace and rest for your soul. Prayer: Father God, I thank You for teaching me about divine order. Take your rightful place on the throne of my heart. I acknowledge that I am seated in heavenly places with Christ Jesus, and I command the enemy to get under my feet. I receive who I am in You Lord and I thank You for bringing divine peace into my life, in the name of Jesus, Amen. I prophesy over you that no matter how high your enemies rise up against you, the Spirit of God will rise up higher in you. He will lift up a standard. You will not be overcome by your enemies. Instead, you will overcome through Jesus. You will overcome by your full persuasion that God is who He say He is and He will do what He said He will do. You will overcome by your knowledge that God is your only Salvation and there is none else. Receive the overcoming mind of Christ. Receive the attitude of an overcomer. Jesus overcame and so will you. Through Jesus, you will overcome sickness and disease. You will overcome the destructive sins that’s been plaguing you. You will overcome fear and worry. You will overcome lack and poverty. You will overcome low self-esteem and low self-worth. In the name of Jesus, the grace of God will help you triumph over your enemy. You will not be overwhelmed. The only One who will completely and utterly overwhelm you is the Lord. You will be overwhelmed by His love. You will be overwhelmed by His grace and by the operation of His Spirit in your life. You will be overwhelmed by His graciousness and how He stoops down to save you. You are an overcomer through Jesus, and you will walk in all that He has purposed for you to walk in! Prayer: Yes Lord, my God. I receive this with every fiber of my being. I reject every lie from the enemy, and I receive your truth. I receive the overcoming mind of Christ. I receive who you said I am. I will not be overcome by the enemy. Instead I will overcome by my faith in you. You are the one who overwhelms me. I’m overwhelmed by you Lord. Thank you for making me an overcomer! In Jesus’ name, Amen. He is bringing your faith to full maturity. Imagine a young girl dressed in high heels, a mini skirt, with makeup on her face and walking around like a grown woman. Although she looks older than she really is and may can fool some people, her mother and father knows her true age. It is the same with us, my sister. No matter how much we try to do all of the things that make us look more mature concerning the things of God, our heavenly Father knows how much we have or have not grown in Him. Sometimes, we want to look more older in Christ than we really are. But Jesus didn’t come for us to look free, He came for us to be free. He didn’t come for us to look healed, He came for us to truly be healed and made whole by His power. Let us not desire the appearance of growth, but allow God to complete the work He started in us, bringing our faith to full maturity, and causing us to shine bright for His glory! Prayer: Yes, Father God. You know where I really am. You are truth. Thank you for authoring my faith, and now I ask that you bring it to full maturity. Complete the work you started in me as I yield to your Holy Spirit’s work in my life. Help me to grow in my relationship with you. In Jesus’ name, Amen. Did you know a device of the enemy is to attack back to back? You can have a season of peace where everything is going well, then you notice one thing happens, then another, and another. It’s manifold temptations that are designed to get you out of faith. If you don’t understand this tactic of the enemy of repeated attacks, it can throw you off. But thank God when the enemy comes in like a flood in that way, God lifts up a standard against him. The power of the Word of God is that standard. It is your deliverance. Prayer: Father, I thank you for your supernatural encouragement. It gave me the boost I need to keep moving forward despite temporary circumstances. You are my God and I thank you that no matter what comes my way, you are faithful to lift up a standard in my life. In Jesus’ Name, Amen. There are many gifts you can receive in this world, but nothing compares to the precious gift of the Holy Spirit. Jesus promised to send Him and He kept His promise. He is our Comforter, Counselor, Intercessor, Advocate, Strengthener and Standby. When we rest in Him, He moves. The blood of Jesus is a powerful weapon against the enemy, and it is something he does not want believers to learn how to appropriate in their lives or to learn about. What is it about the precious blood of Christ that is so powerful? What about it causes the kingdom of darkness to tremble in terror? It is through the blood of Jesus that our sins have been washed away and we are placed in right standing with the Father. It is through the blood of Jesus that we have freedom to live and authority to trample over the enemy. Whenever you hear believers say, “I plead the blood of Jesus!” What does that mean? To “plead” is a legal term (see 1 Samuel 24:15 and Psalms 43:1). If you were to imagine yourself in a court room and the evidence against you were mounting high, but in the middle while the Accuser, which is Satan, is making his case and is saying what you deserve because of your sin, you find the courage to say, “I plead the blood of Jesus!” It would change everything! Why? Because it is through the blood of Jesus that we have been set free from sin, completely forgiven and washed. Through the blood of Jesus, we are made holy as if we never sinned a day in our lives. Through His precious blood, we are free to be free and stay free, and are given power to walk in authority over the enemy! The precious blood of Jesus has not lost its power and it never will! Prayer: Thank you Father for the blood of Jesus! I choose to plead of Jesus right now over my life, over my family and friends! Through the precious of Jesus I am forgiven and no longer hiding in shame, guilt or condemnation. The same precious blood that redeemed me and set me free, also empowers me to live and to go and win others to you LORD. It protects me and gives me authority and boldness when dealing with the enemy. Thank you LORD! You are deepening my understanding and knowledge of the blood of Jesus and what it means. Help me to stay reminded of it’s power and to see my life and everything around me through the lens of the precious blood of Jesus! In Jesus name, Amen. A gifted encourager and a friend. “For we are God’s masterpiece. He has created us anew in Christ Jesus, so we can do the good things he planned for us long ago” Ephesians 2:10, New Living Translation. Years ago, while making a life map, I began to write down the areas of my life that God had given me to be a blessing in the earth. I listed: women’s ministry, family, music, art, books, and business. Then my daughter came and sat next to me, “Mommy, you forgot to add ‘Friends’”, she said. “God wants us to spend time with our friends.” Then she instructed me to write it at the very top. Tears began to well up in my eyes because I knew she was right. What she didn’t know was that I didn’t forget. I excluded it on purpose. The Lord was using her to minister to my heart because I was beginning to give up on one of the most meaningful areas of my life—friendship. When things happen, it can cause us to change into what we hate. But I challenge you the same way my daughter challenged me to not let negative situations change who you are. You will be miserable if you do. I had to make a decision to stop trying to change myself based on life experiences, and be who God made me to be—a gifted encourager and a friend. No matter what the enemy has tried to do in distorting your views based on your experiences, take a firm stand against him and be who God made you to be. Challenge: Make a life map. Write down the areas that God has given you to be a blessing in the earth. Prayer: Father God, forgive me for trying to change who I am. You created me, formed and fashioned me. Correct any distorted view that I have on friendship based on past experiences, and help me stay true to who I am in You. In Jesus Name, Amen. Your walk is going to turn into a pace, and your pace is going to turn into a run! I remember when a good friend of mine who served faithfully on my ministry team had to move on. As we were congratulating her on moving forward into her purpose with her husband, I felt scared to go on without her. She had served this ministry in a spirit of excellence, she had helped hold up my hands when they became tired, and she was a great source of love and support for me. I went to church that Sunday needing God to let me know that everything would be alright. When it came time to go to the altar for prayer, I walked and stood in front of a minister. I shared my heart and told him that I felt alone and scared to go on without my sister. He prayed for me and as tears poured down my face, he looked me in the eyes and said, “Your walk is going to turn into a pace, and your pace is going to turn into a run.” Those words have stuck with me through the years, and now, by the grace of God, I am running with the vision God has given me. It doesn’t matter who comes or goes, my eyes are on the prize and I’m running! Have you ever seen a baby walk for the first time? They eventually grow and let go of their mommy’s hand as they begin to walk. When God said we are to walk by faith and not by sight, this is the image that comes to my mind. It’s not over for you when your support leaves you. Your world is not over when things are taken away from you. A new chapter begins. This is when you will have to learn to place your complete trust and confidence in the Lord. Prayer: Father God, I ask you to help me place my total confidence in you, and take forward steps into your purpose and plan. Bear me up God. Strengthen me. Cause your grace to abound toward me and don’t let me lack anything. Cause my walk to turn into a pace, and my pace to turn into a run for you. In Jesus’ name, Amen.